The Impulse Boost Camp is an international training for people who are voluntary active in civil society, political activists working with young people or being youth leaders themselves. We will try out project management tools, group-methods and reflect upon our personal and organisational development. Non-formal methods and the art of hosting with an innovative and interdisciplinary character will be selected for this purpose. The seminar will be shaped by the active participation of people from at many different European countries and the EU neighbors, so that we can share our stories and learn from each other. The Impulse Boost Camp will take place from August 3rd to 11th 2019 in the countryside of Saxony, Germany (Schneeberg). We will live in a seminar house where we have our own food crew that will cook ecologically, locally and according to our needs. To apply please fill out this form by May 12th 2019. If your application will be successful in round one, we will get schedule a video call with you at the end of May. Latest by mid June you will know whether you are part of IBC 2019 or not. 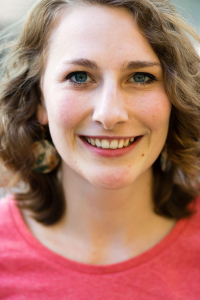 Marie Nele Wolfram is a youth-trainer for social activism and political participation. She was elected as a member of the city council of Plauen in 2014 and has been active in work against rightwing populism for many years. She started the political campaign Informationen für Deutschland and founded a social charity network in Dresden. Nele studied International Relations and has lived in the USA, Paris, Burundi and Tunis until she moved to Berlin where she currently works for the Foreign Ministry.